What to do in Stroud, United Kingdom. Travel tips from a local. How to Explore Stroud, United Kingdom like a Local: Locals introduce their city. In today’s MYCITY interview Jonathan from “Two Monkeys Travel” introduces Stroud, United Kingdom where he was born. Send me an email when you’d like to present your city. Stroud, The Cotswolds, Gloucestershire, United Kingdom. Traditional countryside food, like wood pigeon and venison. The Retreat. A chilled, pub-style bar, with a great little beer garden, well-priced drinks and great food. All in an old stone building that’s hundreds of years old. Traditional country pubs share the streets with classy wine bars and music venues. If you fancy staying out really late, there’s always the Warehouse Club! Long walks over the Commons, with free-roaming cattle and horses. Visit the Museum in the Park. The local Cheese Rolling Festival is one of the highlights of the year – Crowds of locals chase a massive wheel of cheese down the steepest hill they can find. The winner keeps the cheese and there are always broken limbs and concussions! Local Cheese Rolling Festival. CC image Cheese Rolling Festival – Second Race by Will de Freitas on Flickr. There’s really nothing to keep away from here! Walking or bicycle, although the old canal has recently been restored to working condition, if you have a narrow-boat, that is! The Black Horse Pub in Amberly with views overlooking the whole valley. Everywhere, this is a very local place, but the pubs always the best place to start! Up on Minchinhampton Common in the spring or summer. If you’re with your family or with friends, then it’s best to rent an old country cottage for a real Cotswolds experience. Get outside! 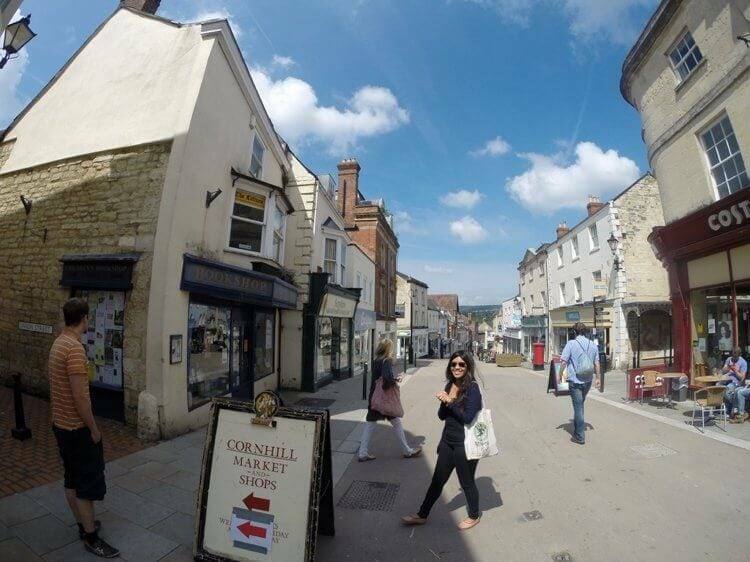 Stroud is part of the Cotswolds and is in an Area of Outstanding Natural Beauty. Buy a wax farmer’s jacket and green rubber boots. It’s practically uniform for going to town and the supermarket, although noone really knows why. Borrow a dog for a day. There’s nothing more local here than taking your dog for a run up in the fields. You’ll meet a lot of locals too. And llamas! 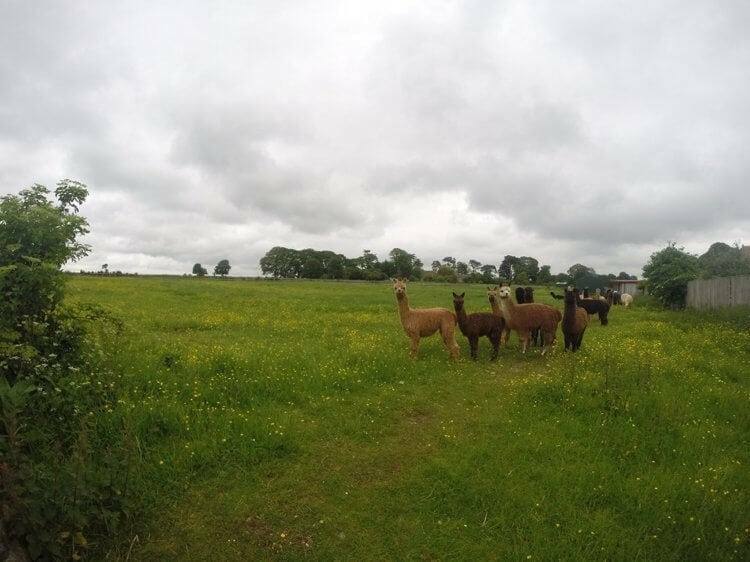 And alpacas! Go in the summer and keep an eye out for local festivals, in Stroud and in neighboring towns and villages – Hint: The beer festivals are the best ones! Stroud has its own Facebook page, called Not Unusual for Stroud, where people post their own pictures of all the random things they see, like a huge, muscular, bald man in a floral summer dress, or a man walking a herd of alpacas to the supermarket! One thing you would like to change about Stroud? With the economic problems that started around 2005, a few of the local businesses closed down and have been replaced by a disproportionate number of 99 pence shops which pretty much sell nothing but cheap rubbish. It doesn’t ruin the town, but I’d like to see more independent businesses re-open again. Jonathan Howe is the British traveller and writer behind Two Monkeys Travel. He was born in Stroud in 1984 and lived there for three years before his family moved to Africa, living in Kenya and Malawi for ten years. Returning to the UK, he lived in the Lake District for 6 years, before finally moving back to the town where he was born, using the town as a home base for working on Two Monkeys Travel, in between exploring the world. Follow Jonathan on facebook, instagram and twitter. Haha I love the photo of the alpacas at the supermarket! The local Cheese Rolling Festival looks like a lot of fun (and danger)! Would love to see it but sure hope to visit Costwolds someday! The Cotswolds is a lovely area but I haven't been to Stroud. The cheese rolling festival sounds like fun I must admit! alapacas!!! Haha! How strange..but oddly interesting. And that cheese rolling festival sounds hilarious…in a dangerous kind of way! The local Cheese Rolling Festival seems to be very funny. I would love visit it. Ohh my god as IF there is a cheese rolling festival….probably up there with some of the weirdest traditions I know.. but I would go…and I would watch…and I would likely have a blast.